Survey Analytics' revised Discrete Choice Conjoint module is more powerful than ever. 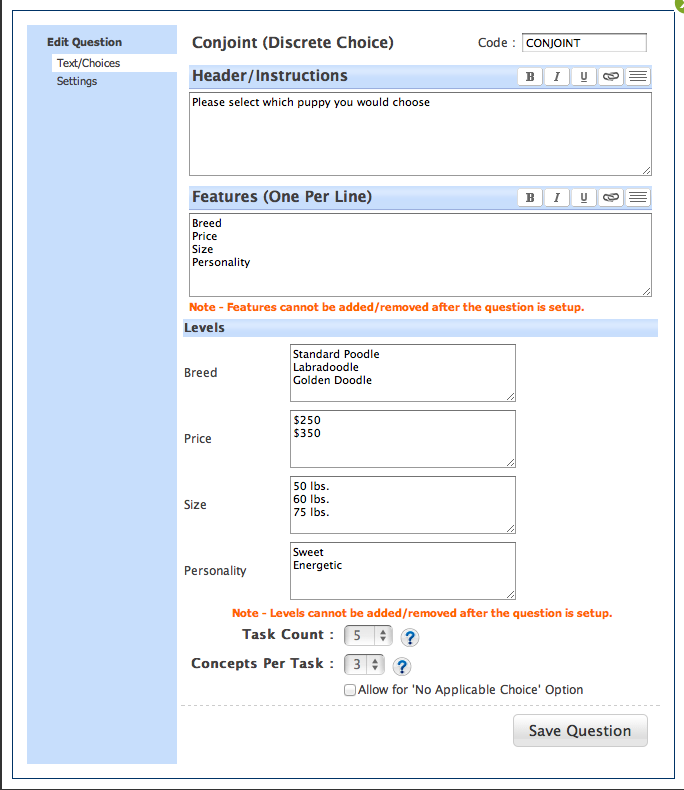 Watch the video to see how to easily add discrete choice conjoint to your survey. But perhaps more importantly, it's easy to use. Really easy. Survey Analytics kept ease-of-use top of mind when revamping its conjoint module. After all, what good is all that power if it's too hard to figure out? Check out this 5-minute YouTube video to see just how easy it is to set up a conjoint exercise using Survey Analytics.